This weekend Hazel and I baked some banana muffins and we planted magic beans. 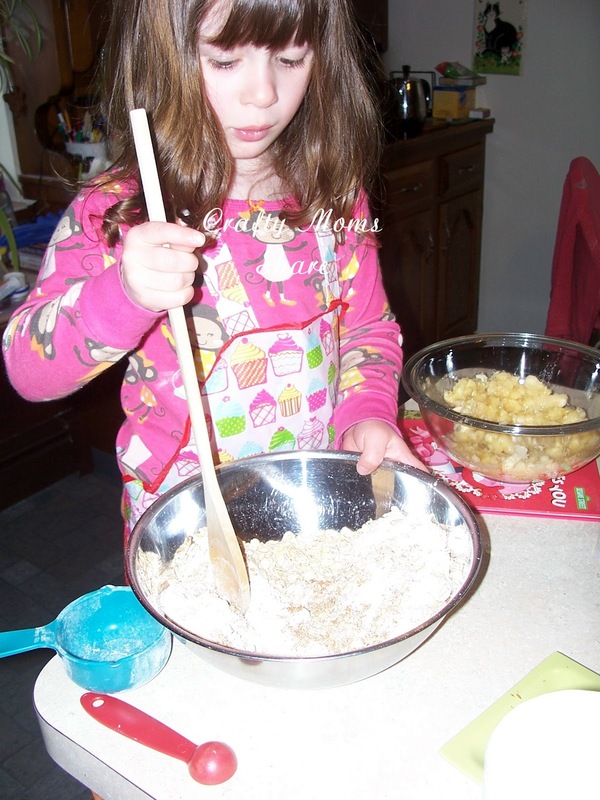 First our muffin recipe. 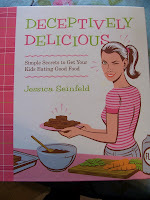 I adapted this recipe from Jessica Seinfeld's Deceptively Delicious. 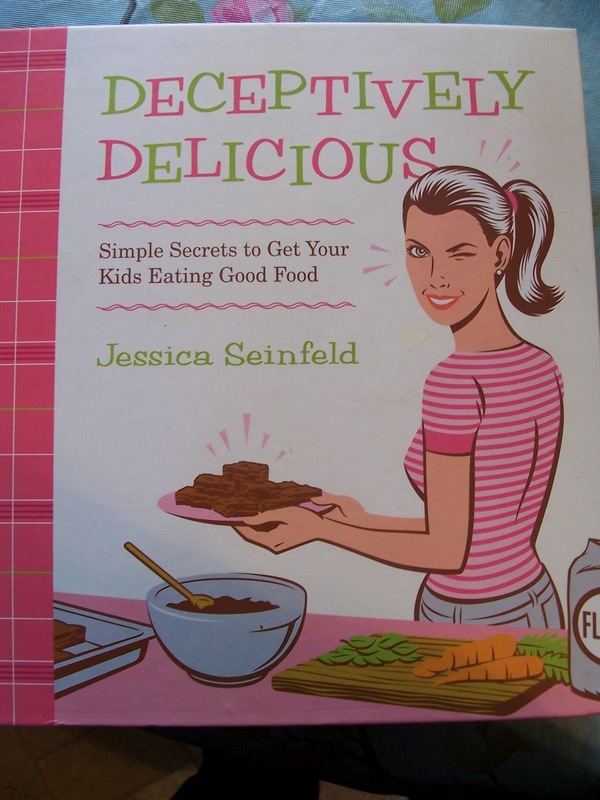 As last week, I am trying to include more nuts, whole grains, fruit and vegetables in our diets. Preheat the oven to 350 and spray a muffin pan with a cooking spray (do not use paper liners or the muffins will stick to them). Mix sugar, almond butter, carrots, bananas, egg and applesauce in large bowl. Mix the remainder of the ingredients in a smaller bowl. 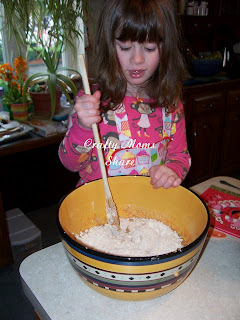 Add dry ingredients to liquid ingredients and mix well. 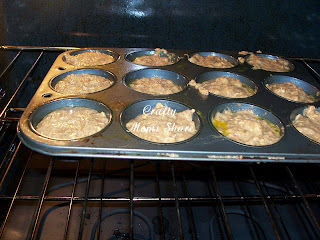 Then scoop into muffin pan. This is the first time Hazel successfully helped scoop them. 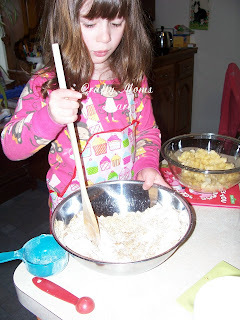 I can see her improving each time we bake together and with age! Bake for 20-25 minutes (the recipe said 15-20 but I found mine took closer to 25 and still were a bit moist). Then cool on a rack and eat warm or cool. Yield 12 muffins. Now on to our magic beans!! For the first part of this project (the part I'm sharing here) I got the idea from StrongStart which was featured on Sharing Saturday #14. 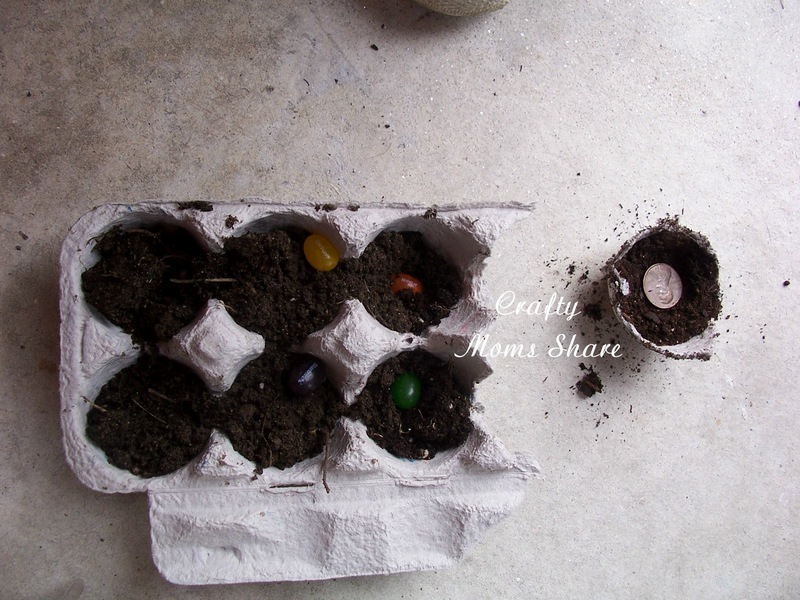 Over the weekend we planted some magic beans. I had to go out and buy more jelly beans because my dear husband got into the magic beans that I set aside without realizing they were for a project. 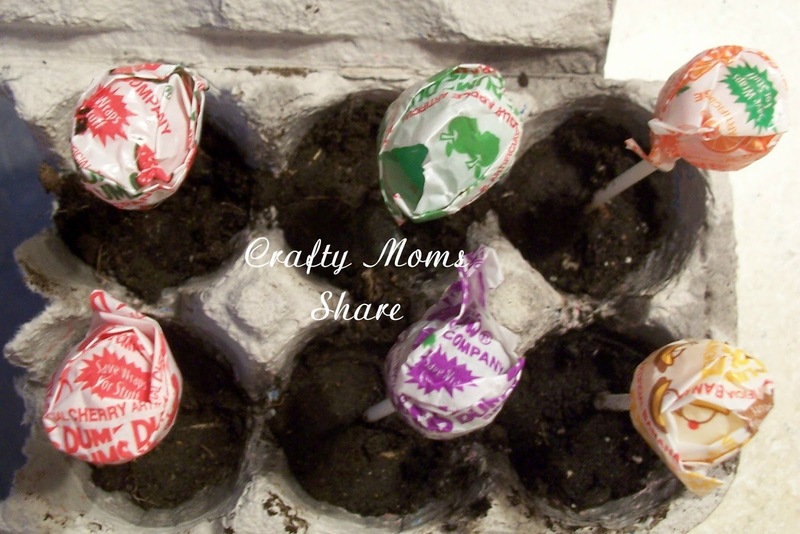 If you try this, make sure you wet the soil and pack it around the sticks to get the lollipops to stand. She was so excited this morning. She wanted to pick all of them and have one after lunch each day and we had to call Daddy at work to tell him about it. 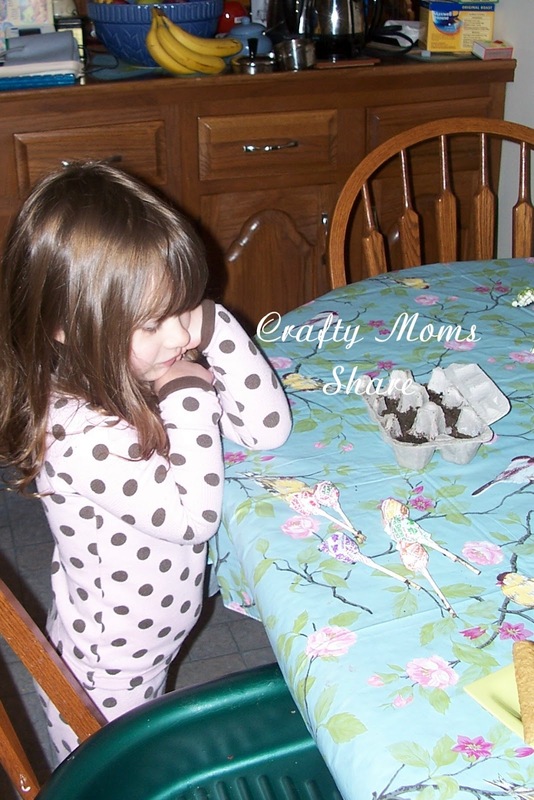 Checking out her lollipops that she grew! 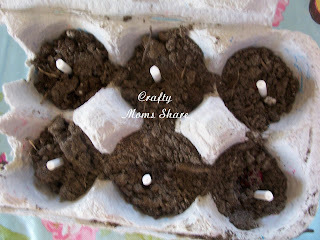 Overall this was a fun gardening activity to try especially with the cold wet weather we are having and having our yard sprayed for ticks so we can't go on the grass for 3 days. This definitely entertained her for a few days. Oh, and I bought a copy of Jack and the Beanstalk today which I'm going to read to her soon. Hope all is well with you!! oh what a fun idea! 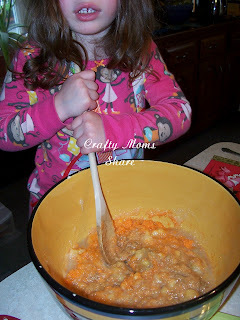 cute cute - thanks for linking up with Kids in the Kitchen ;) hope to see ya next week!!! 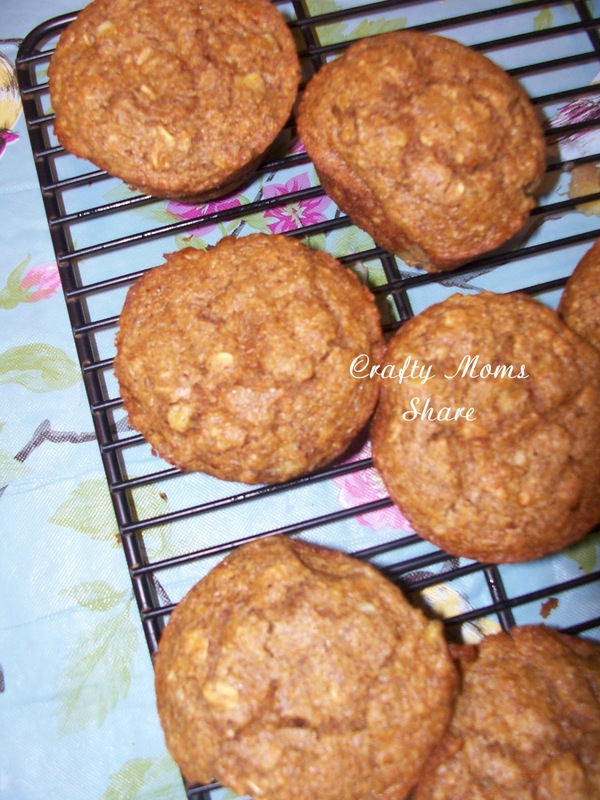 And your healthy muffins sound so good! The Magic Bean idea is fantastic. Carrots in muffins is new to me! 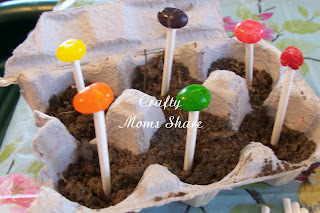 Love the magic bean idea - great use of imagination.